California's first constitution was approved in 1849 and was published in both English and Spanish. Full text and digital images of the English version and images of the Spanish version are available. 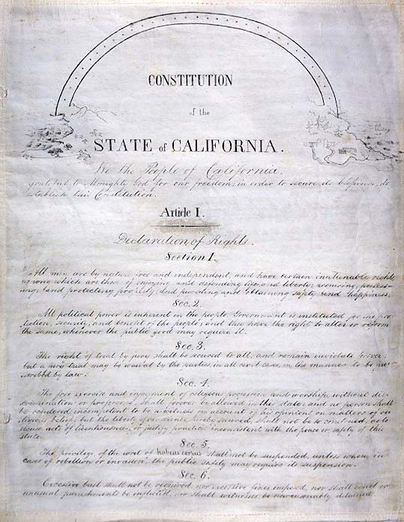 The Working Papers of the California Constitutional Convention of 1878 and 1879 contain the records produced during the convention and include administrative records, minutes, resolutions, and other document types.